Can Acupuncture Help Relieve Rheumatoid Arthritis Pain? People who have arthritis often spend many years taking medications with harsh side effects. Stomach pain and ulcers, skin rashes, sensitivity to light, and other side effects cause discomfort for many people. Some people wonder what is worse, the arthritis or the treatment? As a result of these side effects, many people seek alternative methods to treat their arthritis symptoms. One of these methods is acupuncture. Acupuncture is the ancient oriental method of treating pain by inserting very thin needles along certain pathways in the body. The ancient theory stated that the specific placement of these needles helped to correct the flow of the chi, or life energy. Modern practitioners report that acupuncture can help relieve rheumatoid arthritis pain by promoting muscle relaxation and causing a release of endorphins – the body’s natural pain fighter – in the affected area. Acupuncture has been used for many years to treat all types of painful conditions in oriental countries, but it has been viewed as a folk remedy by western culture in the past. That perception is changing. 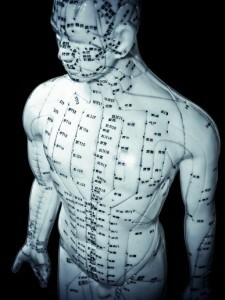 Modern medical research supports the use of acupuncture to treat pain, including the pain that results from arthritis. A 2011 study published in the Chinese Journal of Integrative Medicine studied the effects of both traditional acupuncture and electro-acupuncture on 63 subjects with rheumatoid arthritis (RA). Over a 30 day period, half of the subjects received 15 traditional acupuncture treatments and half received 15 electro-acupuncture treatments, where the needles deliver electrical stimulation to the treatment area. 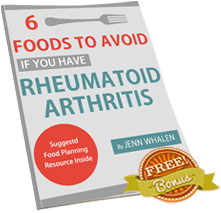 The results of this study showed a significant reduction in two blood factors that affect swelling and circulation, causing a reduction in rheumatoid arthritis symptoms, for both treatment groups. Multiple research studies support the effectiveness of acupuncture treatment for osteoarthritis. The National Institute of Health (NIH) conducted a study in 2004 that examined the effects of true acupuncture against sham (false) acupuncture and patient education. The subjects of this study were 570 people with osteoarthritis of the knee. Half of the group received 23 traditional acupuncture treatments and half received sham acupuncture treatments over the course of 26 weeks. At the conclusion of this study, the subjects who received traditional acupuncture showed more improvement on pain and functional assessment scores than the subjects who received sham acupuncture. A Chinese study published in 2012 conducted an analysis of 14 random controlled clinical trials on 3835 subjects with osteoarthritis of the knee. The conclusion of this analysis was that acupuncture provided more pain relief and more improvements in knee function than sham acupuncture, other standard treatments, or waiting for further treatment. Multiple research studies also show the effectiveness of acupuncture as a treatment for fibromyalgia. If you’re seriously considering acupuncture as a natural treatment for RA, you should check with the insurance companies regarding coverage for this service. Some insurance companies may only pay for treatment of certain conditions. Medicare does not cover acupuncture treatments to relieve rheumatoid arthritis pain. The National Certification Commission for Acupuncture and Oriental Medicine (NCCAOM) provides a list of certified acupuncture practitioners in the United States.